Stew up something the whole family can enjoy. This Tramontina 16-qt Pro. Covered Stock Pot with Stainless Lid can be used to make soups, sauces, pastas, and more. the Tramontina 16-qt Pro. 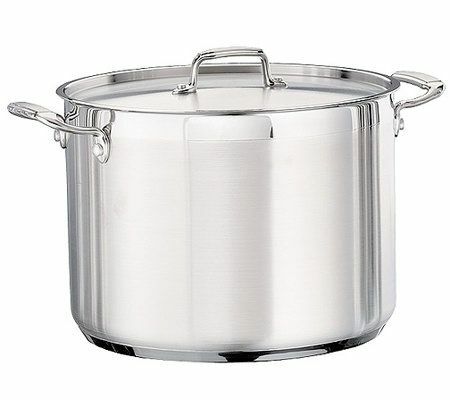 Covered Stock Pot with Stainless Lid is made with 18/10 stainless steel construction and an impact-bonded, three-layer encapsulated base that has an aluminum center to promote even heat transfers. Stainless steel lid. NSF certified. This Tramontina 16-qt Pro. Covered Stock Pot with Stainless Lid can be yours today. 3 tier server3 tier server with serving dishe.